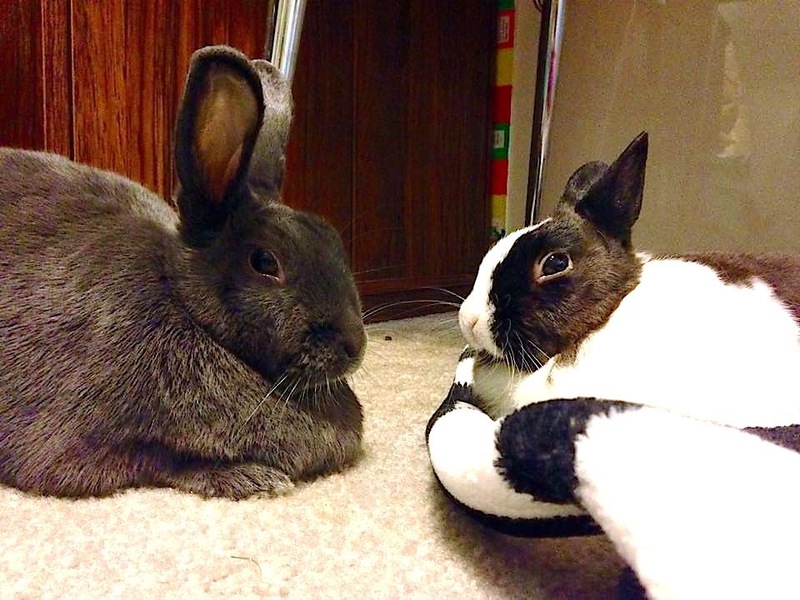 These bunnies look very serious and earnest, in their discussion. How to make hoomins more useful and efficient. I'm not convinced there even IS an answer to that! But if there is, these two will find it! Well, Fleetie, I consider myself very useful and efficient. I am always available to the bunns. Some of my insights have proven to have had great merit, and I can tell you right now, these guys are going to be really happy down the road if they take my advice to go for a less polluted growing medium. Couple'a business tycoons trying for even more. More, More, More ... they need big cigars. These bunnehs are big fans of Bun Floyd's albun "Wish You Weren't Here", featuring "Have A Cigar" and of course "Shine On, You Crazy Bunneh"! "OH, AND BY THE WAY, WHICH ONE STINKS?"